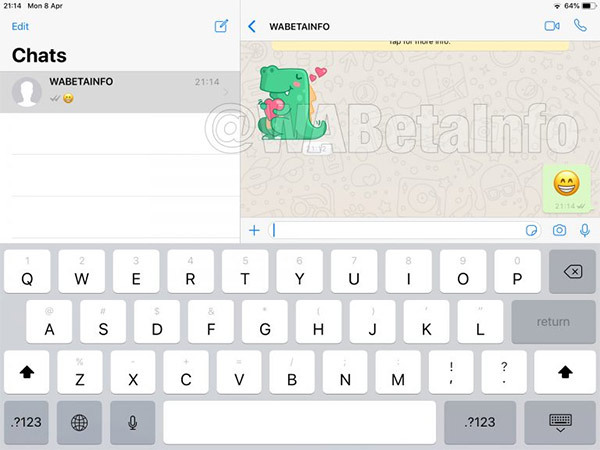 WhatsApp, one of the most widely used messaging app is now coming for the iPad as well. Now those of the owner who were using the web version of the app on iPad will soon get rid of that torment. The Facebook-owned Whatsapp has over 1 billion users using it on a daily basis in order to send and receive a message. The app also has a feature to send and receive media and even make an audio or a video call. 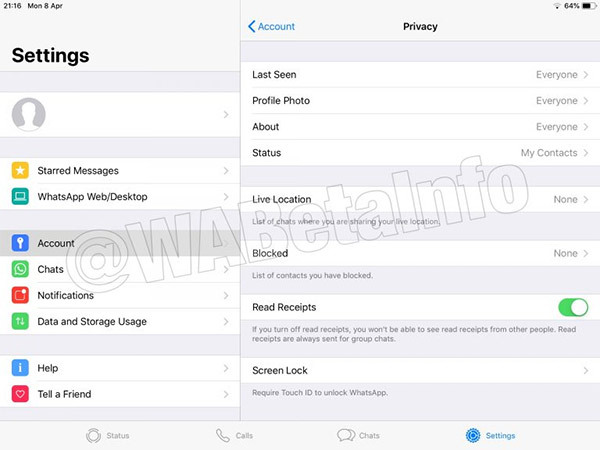 WABetaInfo shares some screenshots on their website on how the app will look in iPad. According to the site, the app will contain the same feature as in the mobile version however, the user interface might be a little bit different to take full advantage of the bigger screen. 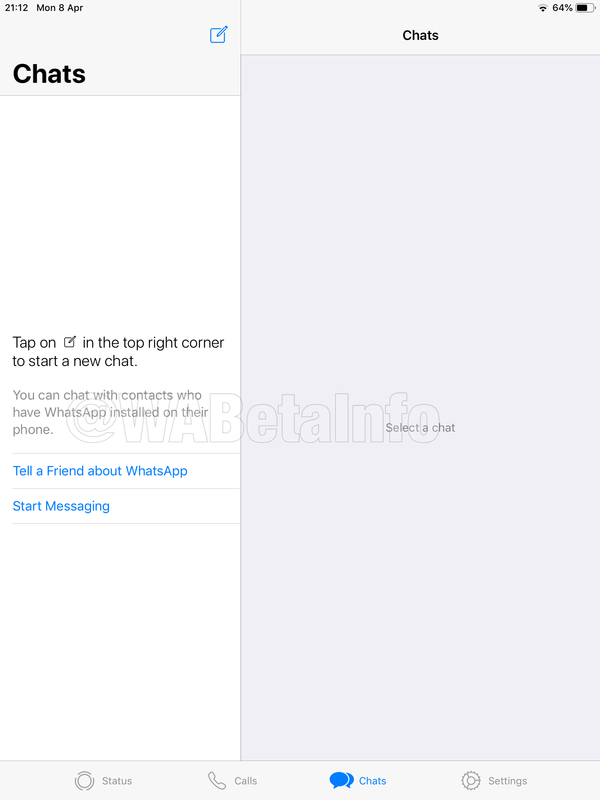 The release date is not fixed yet but it could be released as the next major Whatsapp update releases according to the source.